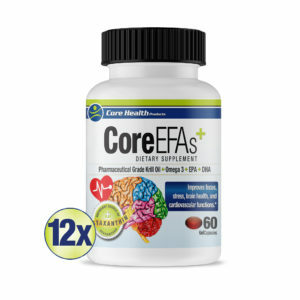 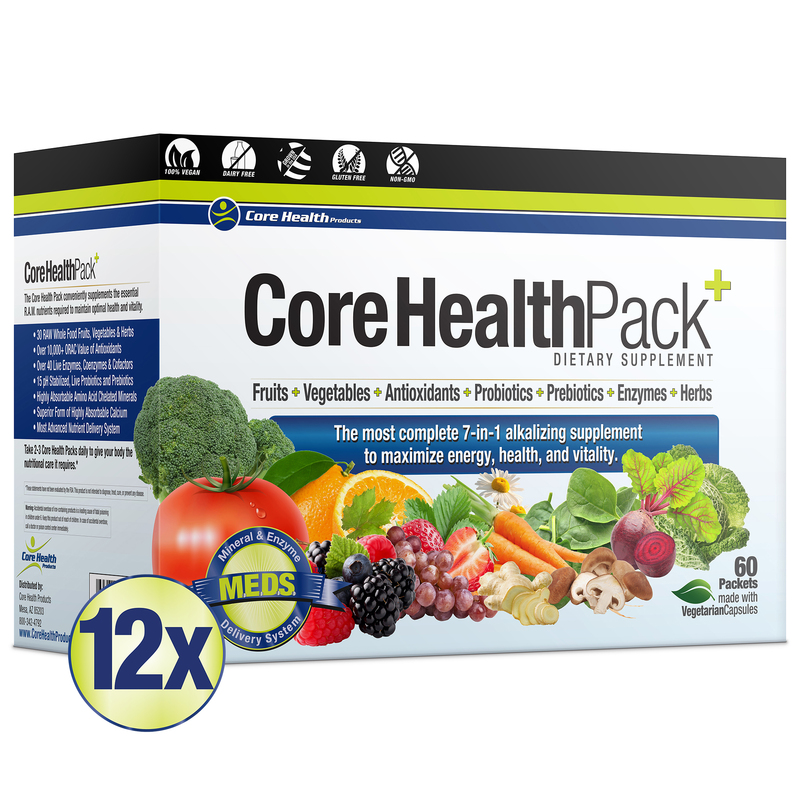 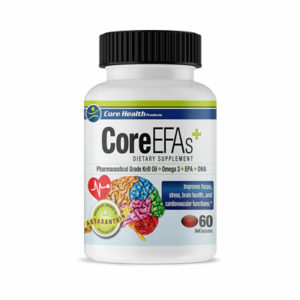 Our Core Health Pack is six individual products packaged into one simple system. 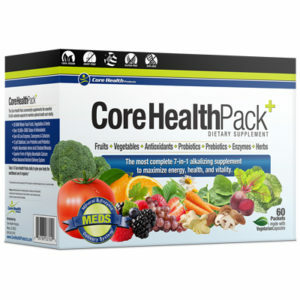 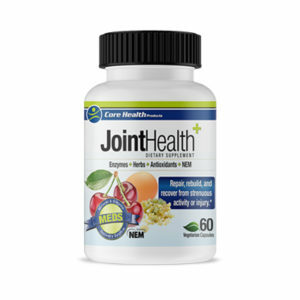 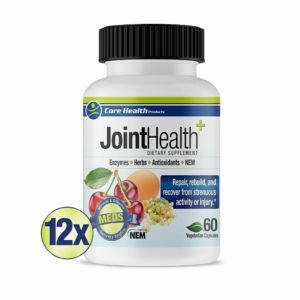 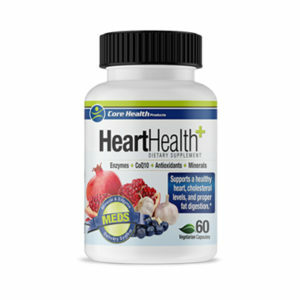 All the ingredients are concentrated whole foods extracted from natural living foods and plants. 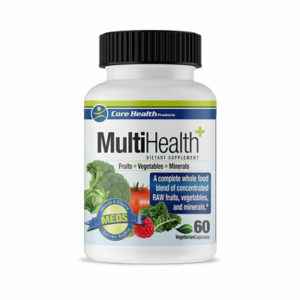 These sources contain a powerhouse of antioxidants and super foods along with the amino acid chelated minerals for maximum absorption. 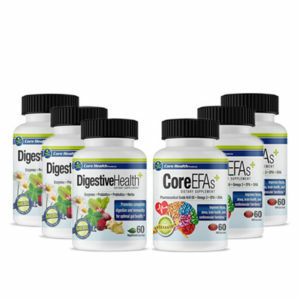 Our natural formulations also include 13 pH stabilized probiotics with the prebiotics to allow for continued growth and colonization of the friendly flora in the gut. 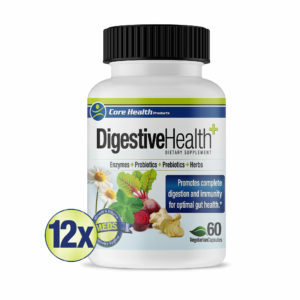 Broad spectrum digestive enzymes along with our activated enzyme delivery system promote increased digestion and utilization of each nutrient in our product and also the food you consume.